We also have these for the AAM 1150 rear axle, and 2nd gen axles. Nice. How much? Nothing on your website. IIRC, weren't you going to make 'em for the front 9.25 also? I have the fronts done too. Just need to get pics up. I'm releasing them slowly because we are at max production right now and still a few weeks behind. So I don't want to create more delays. But with wheeling season coming up, these make great upgrades. Thanks, I just didn't look hard enough. No that's good feedback; if you missed it then I'm sure others will too. I want to spend some time on the website soon if I can get out of the shop long enough. 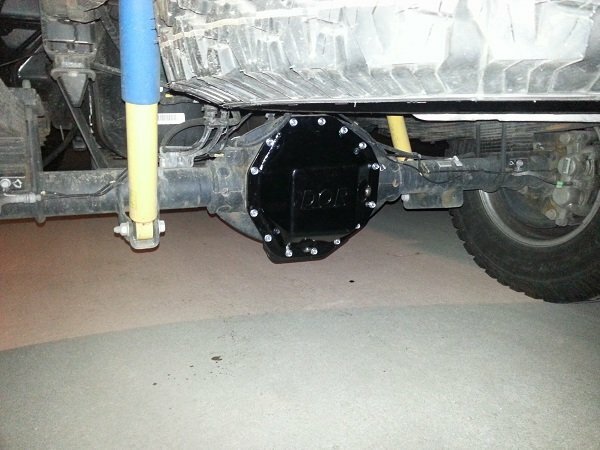 Pictures provided by a customer who will be headed to Moab with his new cover on a 4G PW in a couple of weeks. Sent from the middle of nowhere. Thanks. With the extra magnets in both the drain and fill plugs, the stock PW magnet shouldn't get "dirty" as quickly. We use rare earth magnets so they have a ton of pulling power. If there is any metal in that fluid, they'll get it. Nice! One question. Does the spare tire hit it at full bounce? I know the stock spare tire with hit the stock cover when the truck hits both spring bumpers at the same time. I was looking on your new store site and did not see any diff covers for sale and the F.A.Q.s said if you dont see it then you prolly killed the product. 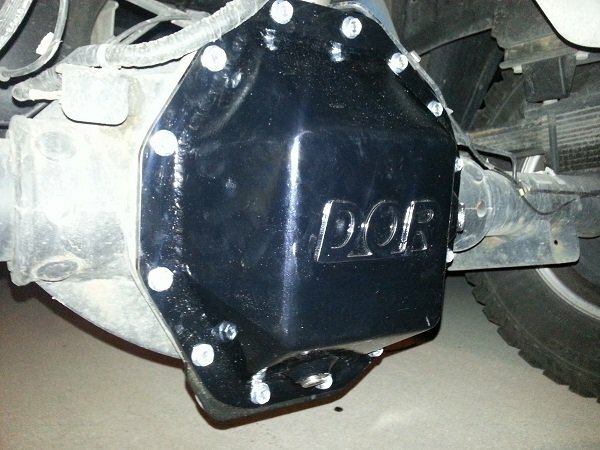 This is highly dissapointing to me as I am now ready to buy front and rear extra capacity bomb proof diff covers for my 2013 PW, so say it aint so please. I'm sure he still sells them. I'm running them on my truck and I am very happy with them. Have taken a beating so far with no problems. Plenty stout! Mexican Import wrote: I was looking on your new store site and did not see any diff covers for sale and the F.A.Q.s said if you dont see it then you prolly killed the product. 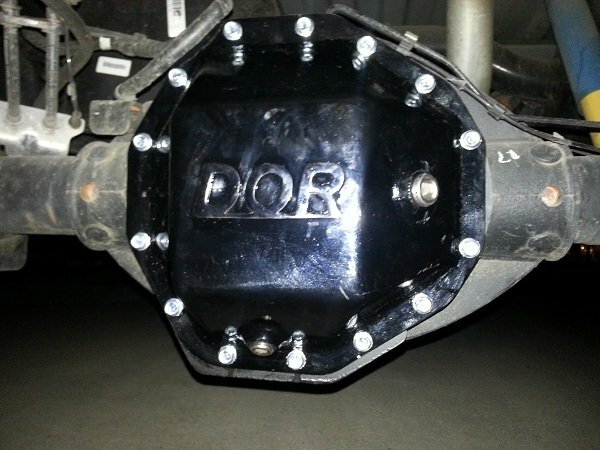 This is highly dissapointing to me as I am now ready to buy front and rear extra capacity bomb proof diff covers for my 2013 PW, so say it aint so please. I'm with you! I want to order both a front and rear but can't find them. I assume the front one does have the proper clearances for our trucks? You could get the DT Pro Fab front & rear covers...they're BADASS! If you're still making these and taking orders, I'd love to order a rear cover. I already have one for the front.